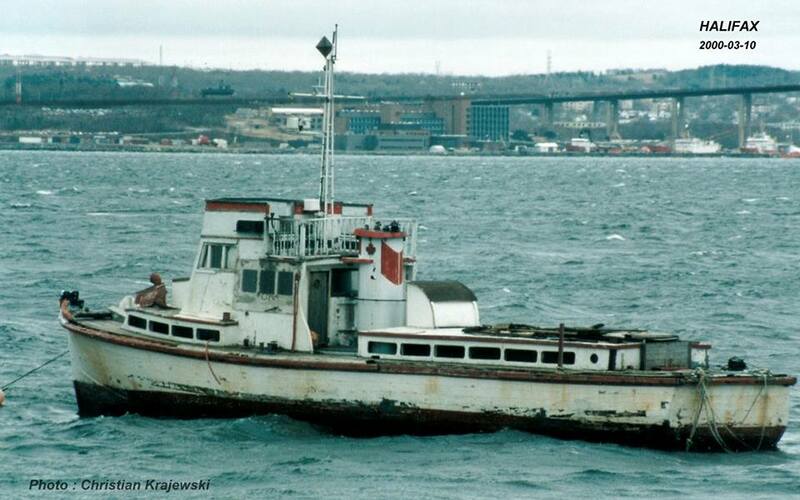 The Above photo was taken in March 2000, and appears to show a Navy Yard Tender anchored off China Town in the Bedford basin. Does anyone know anything about this vessel? This entry was posted in Uncategorized on October 10, 2017 by Peter. I would be very curious to hear more about this vessel- for years it was aground behind the Farmer Clems/Irving gas station on the Bedford Hwy. Actually maybe it is still there? I remember walking down over the railroad tracks to look at it- it was clear that people had been aboard- windows smashed, graffiti, etc. I’ve seen that hull. I believe it was a cape island fishing boat. Hull was red. It was the “Blue Boat” navy ferry between Halifax Dockyard and NAD in Dartmouth. Replaced by a newer, smaller ferry. I can’t say what boat it is but is certainly shares the design with the West Coast YAG’s. I read somewhere that CFB Halifax had 2 of them as well, but can find no more details.